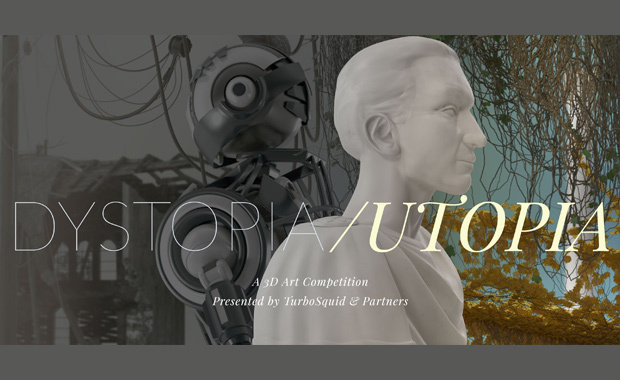 TurboSquid is proud to announce its second annual 3D art competition, this time themed: Dystopia/Utopia and open to all 3D artists from around the world. Participants may submit anything from idealized skylines or nightmare cityscapes to something more abstract that fits the theme. The best three submissions will be awarded with cash and many non-monetary prizes. The total prize money fund is $3,000, of which $1,500 are reserved for the 1st Place entry. The organizers want to see your perception of the future and what you envision the world becoming as we head into 2019. Will our planet evolve into a fantastic futuristic Eden where disease and strife are eradicated, or will Earth be plunged into complete chaos and anarchy? It’s up to you to convince us to either ease up in anticipation of the coming paradise, or to hunker down and prep for a stressful time ahead. There are no restrictions on the renderer or plugins used, you can even make it in a game engine. Entries must original and previously unpublished.